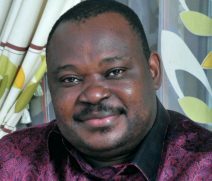 Jimoh Ibrahim is a lawyer, politician, businessman, and philanthropist in Nigeria. He is the chairman and chief executive officer of Global Fleet Group, a diversified conglomerate based in Nigeria, with business interests and subsidiaries in neighboring West African countries. Ibrahim traces his origins to Ondo State in southwestern Nigeria. He studied law at Obafemi Awolowo University in Ile Ife, Osun State, Nigeria, graduating with the degree of Bachelor of Laws (LLB). Subsequently, he obtained the degree of Master of Public Administration (MPA), also from Obafemi Awolowo University. Later, he attended Harvard University in Cambridge, Massachusetts, USA, graduating with a combined Master of Laws (LLM) and Masters In International Taxation degree. His investments include the following sectors, among others: oil and gas distribution, hotels, resorts, airlines, banking, real estate, insurance, publishing and investments.